OONA, the company behind the cutting-edge OTT OONA Mobile App that can deliver exciting content and live TV to millions of people in developing countries via 3G and 4G connectivity, has fulfilled a key milestone by signing a partnership with the world's largest Telecom Company, Telkom Indonesia. Both companies share the same dynamic vision and drive to offer high quality free entertainment to emerging markets including the 135,000,000 plus Indonesians who will be able to enjoy free mobile TV anytime, anywhere with OONA from December of this year. On 13 September 2017, a partnership ceremony took place in Jakata, Indonesia, when the contracts were signed. 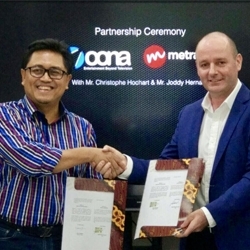 The CEO and founder of OONA expressed his delight at the full collaboration between the two parties, and Joddy Hernady SVP Media & Digital Business Telkom Indonesia / CEO Metranet, said that he hoped it would be a long life partnership. The latter also noted that this kind of co-operation can be a starting point leading to a more substantial partnership in the future. Hochart is also the Founder and Group CEO of technology start ups: BOOSST.com, ScanAd.tv and Chillmob.com. He has also built up an extensive technology portfolio which has enabled the execution of various business transformation projects that he has acted as a consultant for over the past decade. Hochart is extremely confident that the sky is no longer the limit when it comes to the developing market, its rise in mobile entertainment, the very low cost of data, and his own unique strategies. Further, OONA is clearly the future of FTA on mobiles delivering precise advertising and increased advertising revenue. Hochart has disrupted the industry, shown that all sides can benefit, and has been able to give consumers everything they want. 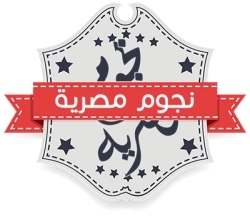 OONA empowers consumers so they receive data free instant access to the best of Television, VOD entertainment, educational video content, interesting offers, promotions, and other mobile brand information that will be of personal benefit to them. Further, OONA is clearly the future of FTA on mobiles delivering precise advertising and increased advertising revenue. And with the data it has, the Free To Air TV average CPM will grow in double digits and increase revenue to Content Owners. OONA counts itself as fortunate to be in a unique position to offer developing countries' telecom subscribers: the best of TV and VOD entertainment; free and instant access to both ad-supported and commercial-free current season shows from the largest US and European broadcast networks; live and on demand channels, acclaimed original series, films of all genres; upcoming locally produced content, premium library TV and movies, educational video content, interesting offers, promotions, and other mobile brand information that will be of personal benefit to them. Further, OONA is clearly the future of FTA on mobiles, strategically delivering precise advertising and increased advertising revenue. OONA's ethos is that fun should be part of everyone's daily lives, and through the innovative OONA platform, they are inspired to make people feel good by lifting their emotions and happiness levels via their free streaming service. They want to facilitate a new type of user experience that enables individuals and families to enjoy fantastic films, shows and programs where ever they are 24/7, without having to pay a service provider or have a TV. In addition to this, users can say goodbye to wasting away their time browsing, searching and switching, because now, OONA empowers them with all the TV they could ever desire in just one place. OONA is a game changer, and is well on course to fulfill its company mission statement: “To make life fun for billions of people in developing countries by providing Free Mobile TV.” The company is now successfully creating inroads into Africa and other parts of Asia with its latest state of the art model which generates a ready to launch business synergy between TELCOM companies and content owners and broadcasters, enabling leading telecom companies to leverage their user base and network infrastructure to significantly expand their Mobile TV business.